Magnetic cell separation, also known as immunomagnetic cell separation, involves targeting cells for selection or depletion using antibodies or ligands directed against specific cell surface antigens. Labeled cells are cross-linked to magnetic particles, also known as magnetic beads, that can be immobilized once an electromagnetic field is applied. Should I use positive selection or negative selection? Both positive and negative selection can be performed using immunomagnetic cell separation methods. When a positive selection is performed, the supernatant can be discarded and the magnetically-labeled cells of interest remain immobilized until removed from the electromagnetic field. When a negative selection is performed, the desired cells are located in the supernatant. Should I use column-based or column-free magnetic cell separation methods? There are two different formats for performing immunomagnetic separation: column-based and column-free. Column-based magnetic cell separation techniques involve passing a sample previously labeled with magnetic particles through a column matrix within a magnetic field. The column is filled with ferromagnetic spheres that become magnetized in the applied magnetic field, creating a localized magnetic field that can immobilize the magnetic particles within the sample. When positive selection is used (Figure 2), non-magnetically-labeled, non-target cells can pass through the column while magnetically-labeled, target cells are retained within the column. Upon removing the external magnetic field, the target cells can be collected by pushing buffer through the column. While commonly-used, column-based cell separation protocols can sometimes be costly, complicated, laborious, and time-consuming, requiring multiple washes to avoid contamination between separations and the use of new columns for each experiment. In addition, it’s not uncommon for columns to become clogged, risking the loss of precious samples, especially when working with tissue samples that contain a significant amounts of debris. Column-free magnetic cell separation techniques involve placing a tube filled with a magnetically-labeled sample within a magnetic field. The magnetically-labeled target cells will migrate towards the magnet and will be immobilized at the sides of the tube. The unlabeled cells in suspension can then be poured or pipetted off to separate them from the labeled cells. Upon removing the tube from the magnet, the labeled cells are released from the sides of the tube. If a positive selection protocol is used (Figure 3), the labeled cells are the cells of interest and can be resuspended in buffer for immediate use in downstream applications. Which method should you choose? In general, column-based and column-free technologies are both well-established methods that result in highly purified cells. Both technologies have been used by life science researchers for more than 20 years in a variety of applications and with thousands of citations in peer-reviewed publications. In an increasingly competitive research environment, we recommend choosing the most efficient technologies available to help you complete your cell separation—and, ultimately, your downstream experiments—in less time and with less effort. 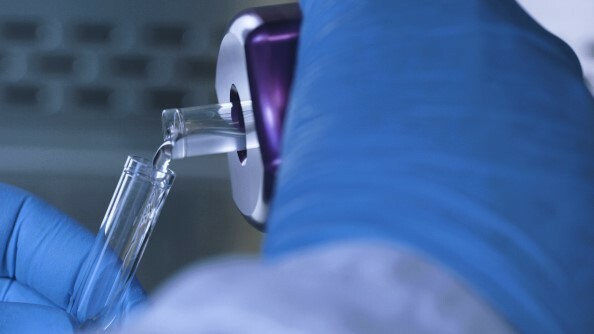 In our experience, column-free cell separation techniques are the most efficient approaches to isolate highly purified cells for research. Should I use magnetic cell separation or FACS to isolate cells? Immunomagnetic cell separation and fluorescence-activated cell sorting (FACS) are the two most common ways by which scientists isolate specific cell types. The choice between the two methods depends on what you require for your specific downstream application. To decide which of the two methods to use, start by investigating whether the expected purity of available immunomagnetic cell separation kits would meet your experimental needs. Product performance data can often be found on a supplier’s website. If a vendor does not publicly provide performance data for their cell separation products, contact them directly to ask for this information or ask for a sample of their product to test in your own lab. Due to their speed and simplicity, immunomagnetic cell separation techniques can often be easier to incorporate into your experimental design than complicated flow sorting instruments and protocols. Immunomagnetic cell separation techniques and FACS can also be used together. 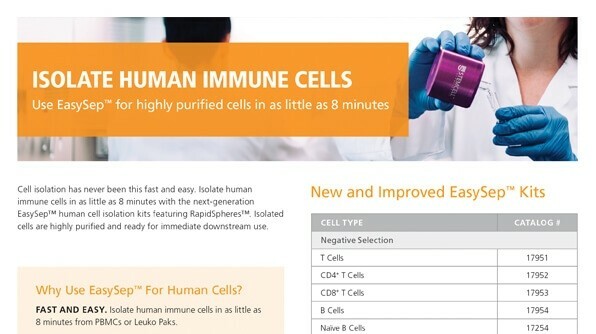 Pre-enriching your sample with immunomagnetic cell separation techniques prior to FACS can maximize yield and purity and reduce sort time, especially when working with large sample volumes or rare cell types. There are many commercial technologies available for magnetically purifying cells. One of the most widely used technologies is EasySep™. 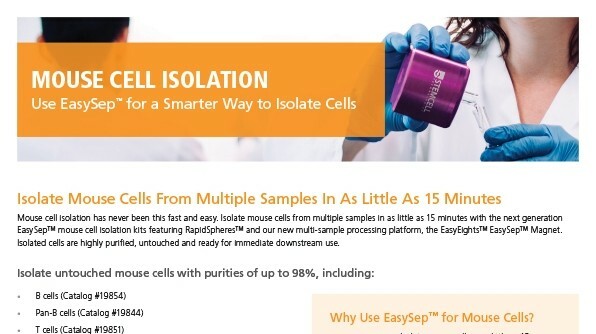 EasySep™ is a column-free magnetic cell isolation technology that allows for efficient positive or negative selection of a variety of cells types from various sample sources. 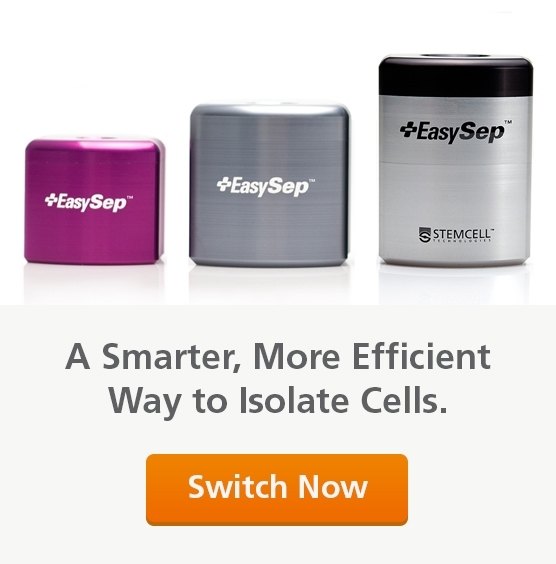 EasySep™ cell isolation magnets are available in various formats to accommodate a range of sample numbers and volumes. Automating magnetic cell separation can save hands-on time for labs that routinely perform magnetic cell separations. In addition, automation minimizes handling of potentially hazardous samples, which may be important to reduce the risk of exposure to dangerous pathogens. 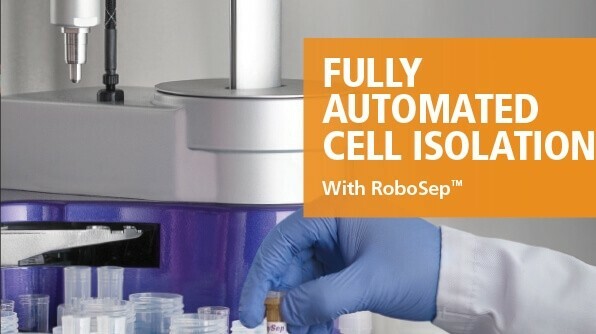 RoboSep™ instruments are fully automated magnetic cell separation instruments that can isolate cells from up to 4 or 16 samples simultaneously.